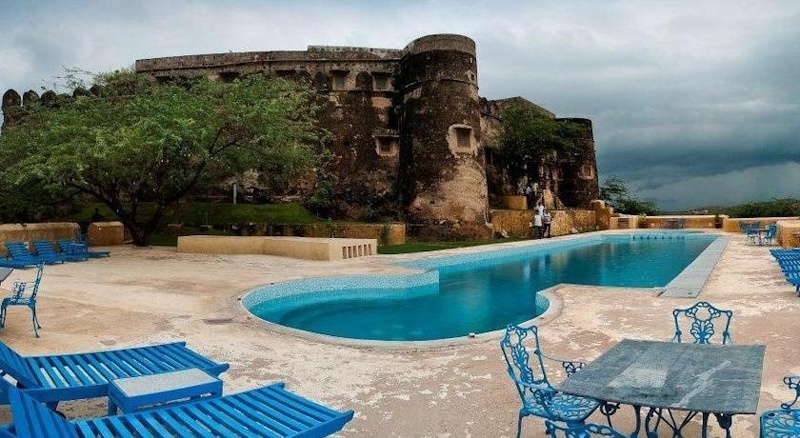 This 14th-century fort was built by the Yaduvanshi Rajputs who claim to be decendants of Lord Krishna – though they probably weren’t as good flautists. 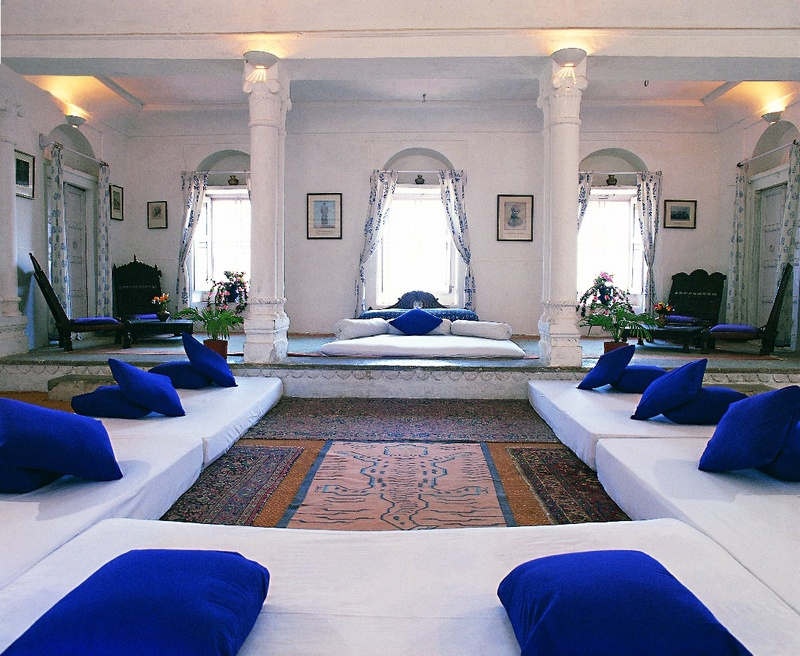 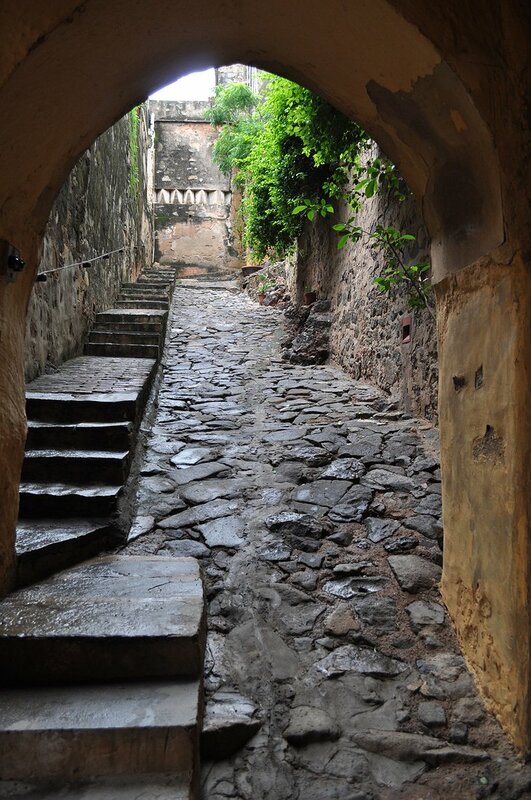 The fort has had many owners over the years - the Mughals, the Jats, the British and, of course, today it is owned by Neemrana Hotels who have saved this and other landmarks from ignominious decay. Today the Hill Fort is one of India’s premier locations and has hosted a number of fancy events including the International Festival of Indian Literature. 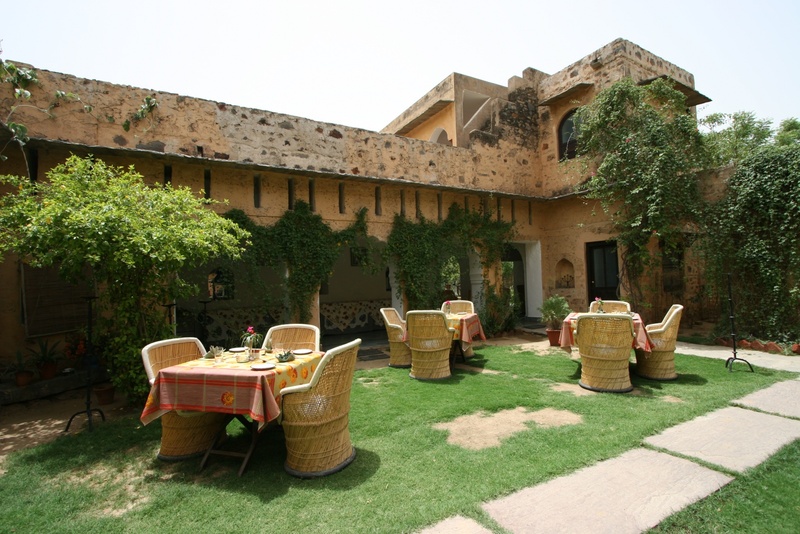 Sitting on dark Hornstone Breccia rocks, its ramparts rise 50-65 meters commanding vistas of the Rajastan landscape. 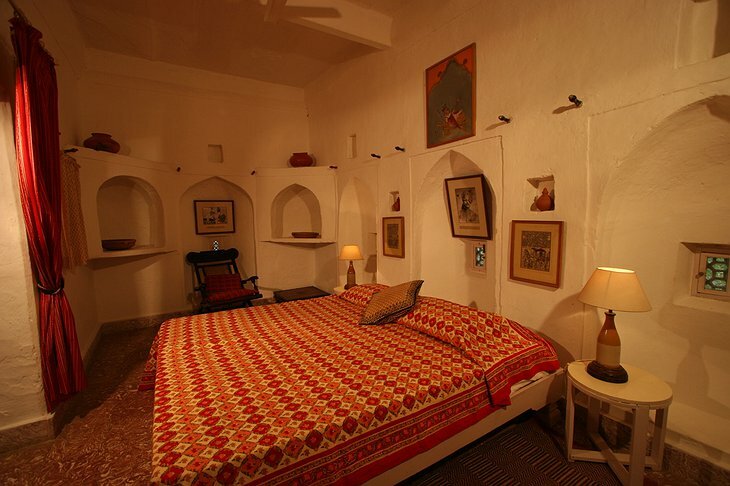 The rooms have all been designed into the pre-existing structure and create an ambience unlike a hotel and more like staying at a friend’s house. The restaurant serves a variety of food, obviously North Indian cuisine is there, but so are other culinary delights from France, Italy and Thailand. 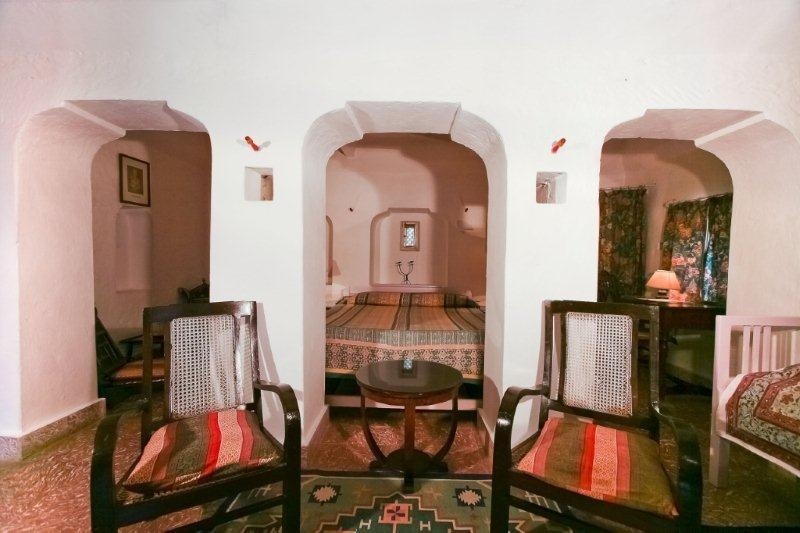 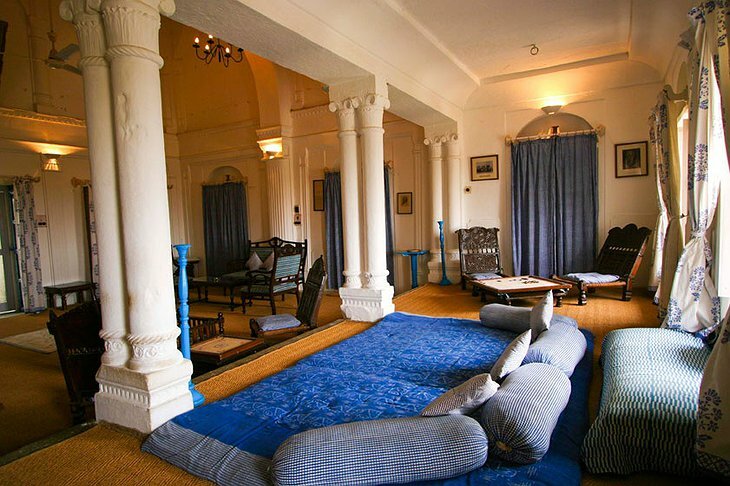 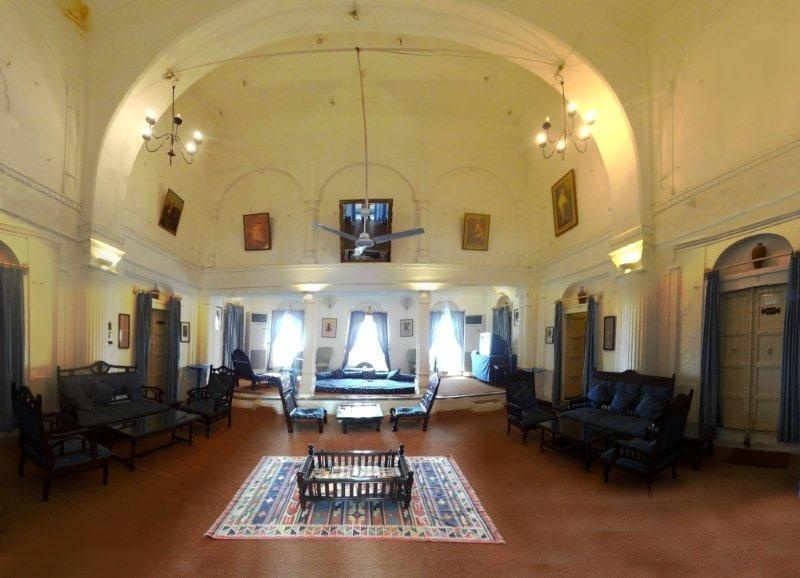 So stay in this historic fort for a truly unique experience.